If you are in Sunshine Plaza and are wondering where did the buttery fragrance came from, guess no more. This alluring fragrance that causes perhaps anyone who are in Sunshine Plaza to be hungry is located among the cluster where Victor's Kitchen, Parklane Zha Yun Tun Mee and Teng's Bespoke Japanese Vegetarian Dining is. 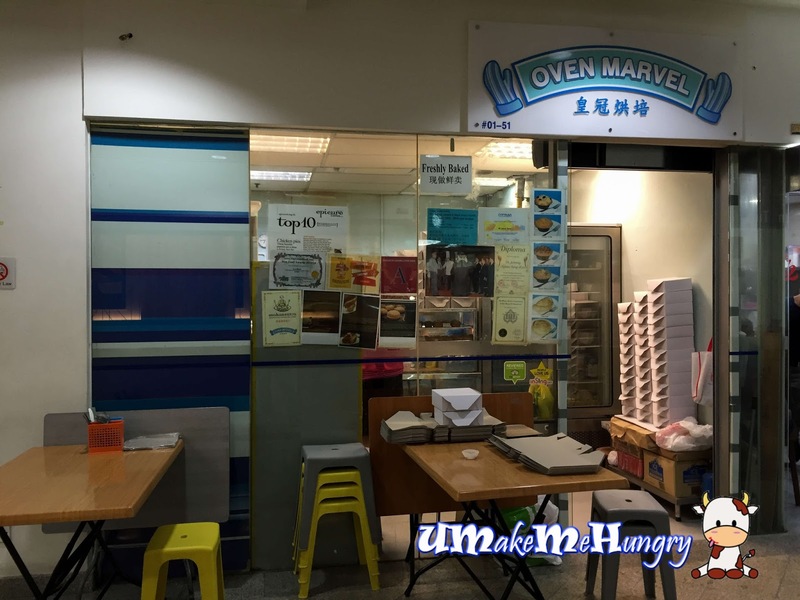 Oven Marvel is mostly for take away orders, however if you are keen in dining on the spot they do have a table or 2 for you to sit and fix your instant cravings. Pies are freshly baked daily and in fact I was lucky to grab some which just came out of the oven. Each box was spread out with oil paper before placing the pastries into them. 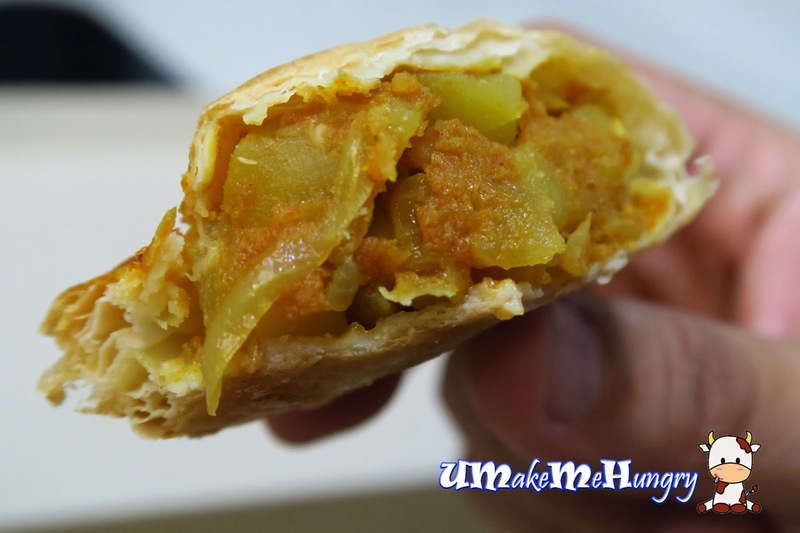 A homely taste of curry puff is what I'm taking away with. 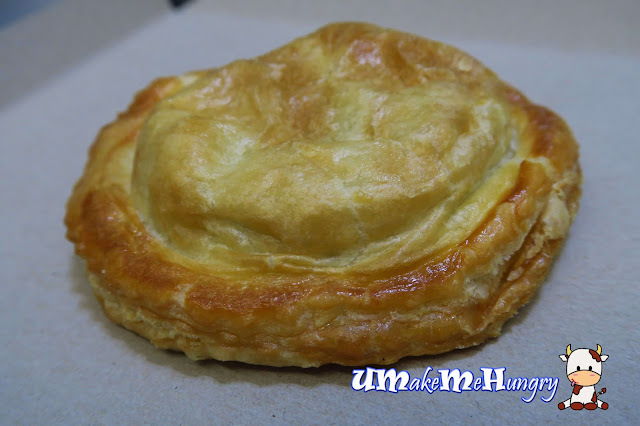 Most of the curry puff I had either taste mediocre or were too greasy too handle. 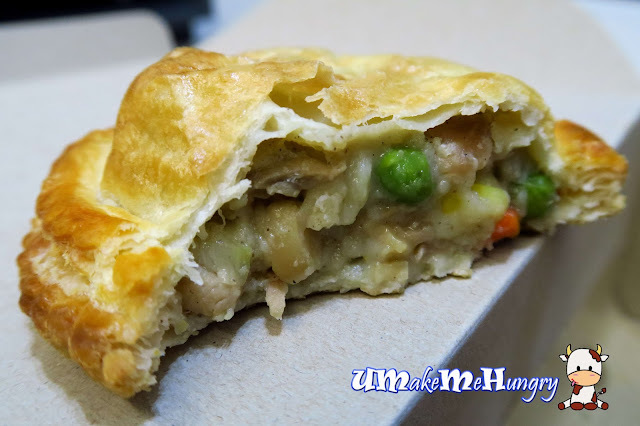 The even tone of the puff and its dedicate crust was its highlights with good texture and wasn't too heavy. 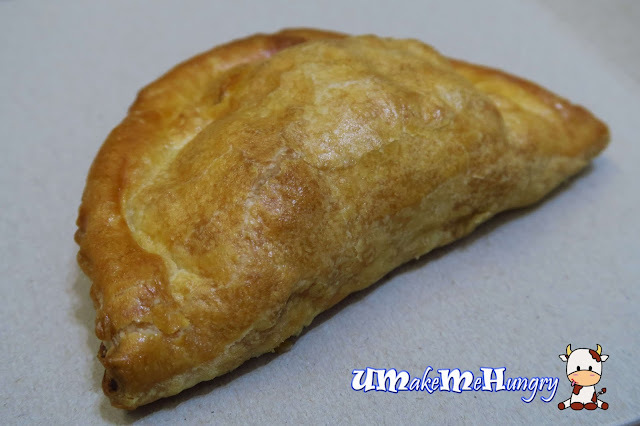 You won't feel shortchange for they are so generous with potatoes in the puff's fillings and best still the curry taste isn't weak! Eat while the pie is hot! The golden brown hue of the pie with flaking yummy curves had defeated me in terms of its food aesthetic, not mentioning the whiff of pastry aroma I had earlier on. Fillings are peppery, creamy with generous chunks of chicken as well as softened potatoes among the mixed vegetables. Pies are filling but it just did not stop me from wanting more. I like about the part where pastry were flaky and soft, yet not overly greasy. 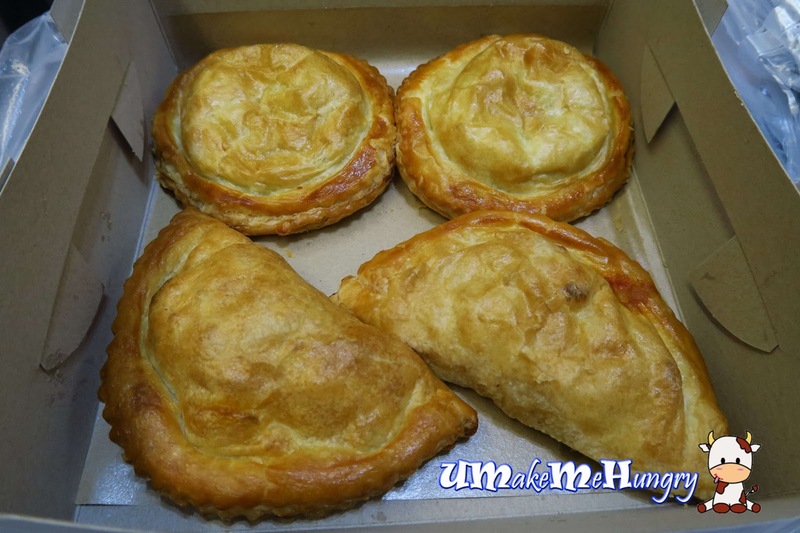 The middle age lady who served me was friendly and asked the arrangement of my pies and puff to be packed. Adding on to our conversation, she highlighted that if we can't finish the food on the same day, put in the fridge and thaw it for about 10 -15 minutes at room temperature before reheating them again. I hope to be back for their pastries as well as muffins.